What you need to know on the big day! 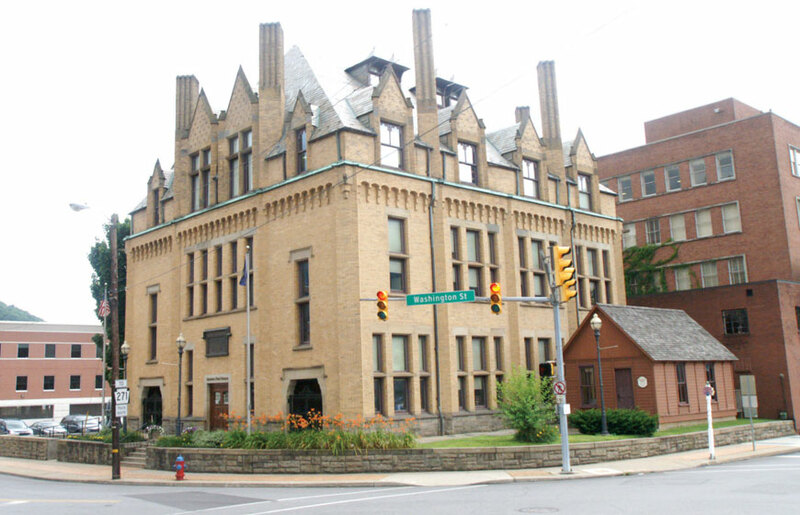 All participants will park in the Conemaugh 1 Lot across the street from the Johnstown Amtrak Station on Walnut Street. This will be one half block from the finish line at Peoples Natural Gas Park. There is no parking available at the starting areas for the Half Marathon or 5K. Limited parking (less than two dozens spots) is available at Staple Bend Tunnel but runners would have to coordinate their own transportation to recover their vehicles at Staple Bend. (See map at bottom of page). 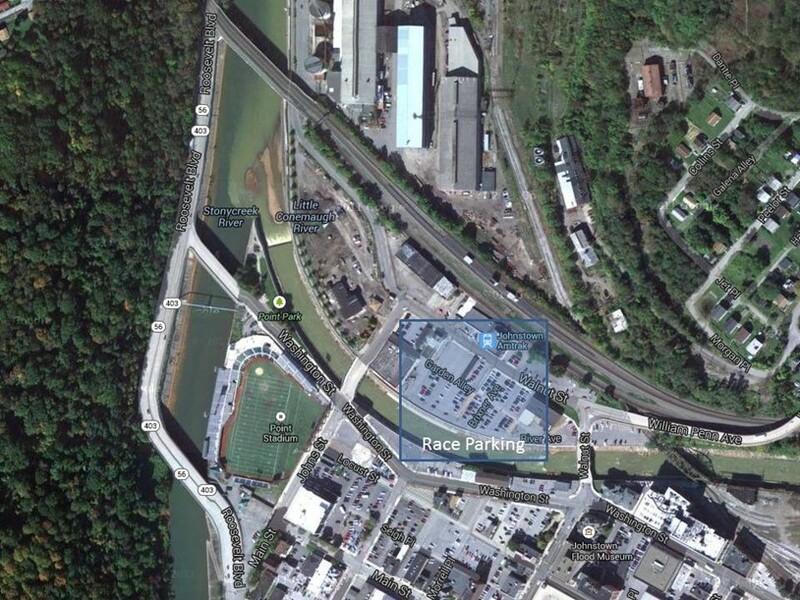 There will be a designated indoor area at Peoples Natural Gas Park (race finish area) for participants to leave gear they would like to have following their event. There will also be gear drop off boxes at each race start area. Any items not picked up 1 week after the event will be donated. The POTF Historic Races is not responsible for any lost/stolen items. All buses leave from Peoples Natural Gas Park. Runners who arrange a ride and can be dropped off without parking a car at any start area are free to do so. Make sure you have all your gear and are there in time for your race start time! Half marathon. Participants will be bused to the starting area through continuous shuttling provided by three buses. The first bus will leave at 6:00 a.m. It is roughly a 20 minute ride to the start area. Buses will depart when they are full. The last bus will leave at 7:20 a.m. Runners are asked to take the earliest bus available to make an on-time 8:00 am start. 12K. Participants will be bused to the starting area, and the first bus will leave at 6:00 am. The last bus will leave at 7:20 a.m. Drop-off will be at the parking area for Staple Bend Tunnel off Beech Hill Road. 5K. Participants will be bused to the starting area, commencing at 6:45 am. There will be two school buses continuously shuttling runners to the start. Runners are asked to keep things moving for an on-time start, and buses will depart as soon as they are full. The last bus will leave at 7:30 a.m.
After finishing the race, relax and enjoy live music and food during the post-race festival and awards under the open-air pavilion at the beautiful Peoples Natural Gas Park. Complete details on the festivities can be found here.